On top of this it is strongly recommended that you make sure all equipment is thoroughly dried out between visits to ours, and other lakes. This is the number one way to prevent KHV spreading. 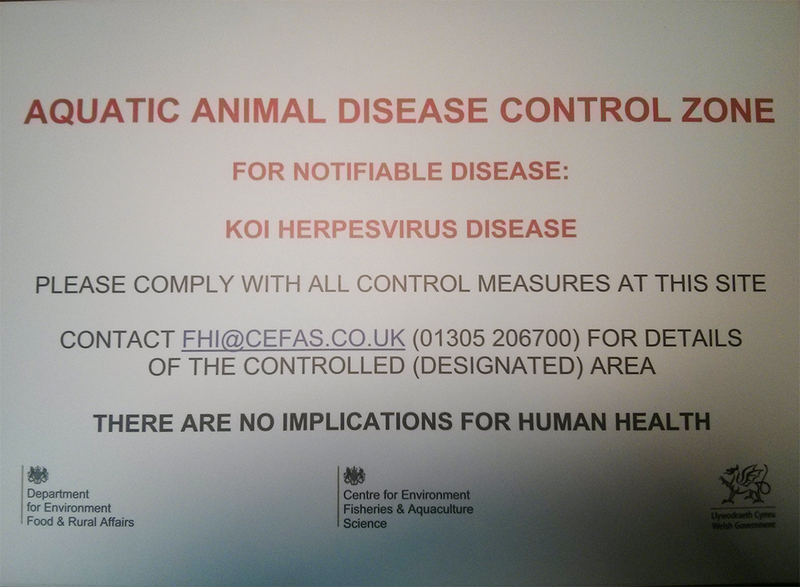 Signs will be placed up around Rowfant Mill advising that it is within the Woodpeckers KHV danger zone, and over the next couple of years we will be closely monitored by CEFAS. So far, there are no signs of the disease having spread to our waters – lets do our best to keep it that way.